JP Urban Moving - Brooklyn movers for your safe relocation! We at JP Urban Moving want to help people feel the excitement during the relocation. With our moving assistance, you can leave the stress behind. Our Brooklyn movers help you relocate with the joy, avoiding the headaches people tend to experience during the move. We know all the areas of Brooklyn, so we provide you with best moving services. Having no troubles during a move is our prime goal. 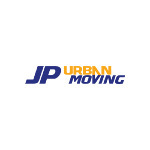 With JP Urban Moving you will get a quality, reliability, and dedication. No matter you are moving your home or office, give us a call to help you move smoothly and with the smile.